Be under no illusions: your first day with your students is the most important of all your days with them. You see, day one is where you lay the foundations for appropriate student behaviour. 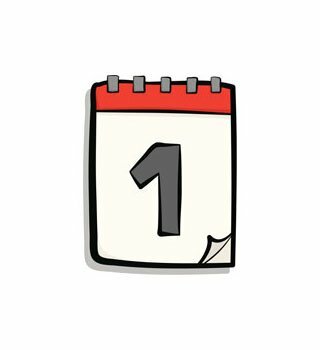 Get day one right and you’ll be much more likely to get the rest of the year right too. It’s as important as that. Luckily, day one is also the day when your students are most primed to learn your way of doing things, most keen to make a success of the forthcoming year and, if the previous year didn’t go too well, most determined to turn over a new leaf. It’s a day, therefore, that deserves some extra attention from you. So, here’s ten top tips (nine dos and one don’t) to help you on your way. If you don’t know the class, arrange by surname or use the boy / girl option. Of course, these systems don’t totally guarantee that mortal enemies (or worse, friends) are seated apart, but it’s a good start. When you get to know the students, change it to suit your needs, never the students’. Line the students up and then let them into your lesson one at a time. Say hello or smile a welcome. Hold back any student who is not ready to enter (e.g. noisy or has a uniform issue). As they enter, tell them to take a seat and start on the activity that is waiting for them (on their desk or the board). The activity, which only needs to be brief, helps regulate the beginning of the lesson while at the same time conveying that studious work is the norm in your lessons. This can be either taught through explanation or, as I do, through the doing. Set the students on something that needs to be discussed. Slowly and with a bit of drama, count down from 5 to 1. When you get to 1, the students should be silent with eyes fixed on you. If one or two are not silent, do NOT begin talking until they are, but instead just look at the talkers. When they are silent, smile. Use this strategy to bring to a close all student activities. Remember: never rush the count down and never start talking until you have secured their silence and attention. If you don’t have either, wait until you do. First, how to enter your classroom and second, how to leave. Use the ‘Do as I do’ technique. Model what you want them to do, get a few students to do what you want them to do, get the whole class to do what you want them to do. Go through both routines until each is perfect. It goes without saying (but I’ll say it anyway) that you want orderly, smooth and silent. Add a degree of difficult to really make the students focus (e.g. not scraping any chairs, either when entering or leaving the classroom). Once you have got the students to do what you want them to do in the way that you want them to do it, insist that they do it every time. Why? Well, because a routine is only a routine when it’s habitual, and it only becomes habitual through repetition. I understand why you might want to: new class, start on a good footing, win them over. But if you do, you will be harming, not helping your classroom behaviour management. You see, you’ll be lowering the bar of your expectations, when actually you should be raising it. You’ll be communicating that doing the everyday and the commonplace is noteworthy of extra and special attention, when it’s not. What’s worthy of extra and special attention is extra and special behaviour. Sure, a polite ‘thank you’ for students doing the right thing is fine, but anything beyond that is disingenuous and a bit needy.